Winter has hit the Southern Hemisphere, specifically South Africa, which has had a really cold snap this week. And I know our cold is nothing like Europe and parts of America, however our houses are built for summer and not winter, so when the cold hits, it’s freezing. And when the cold hits, I long for my childhood comfort foods, that are warm, hearty and usually not low carb! One of these, that I particular wanted this week was Malva pudding. 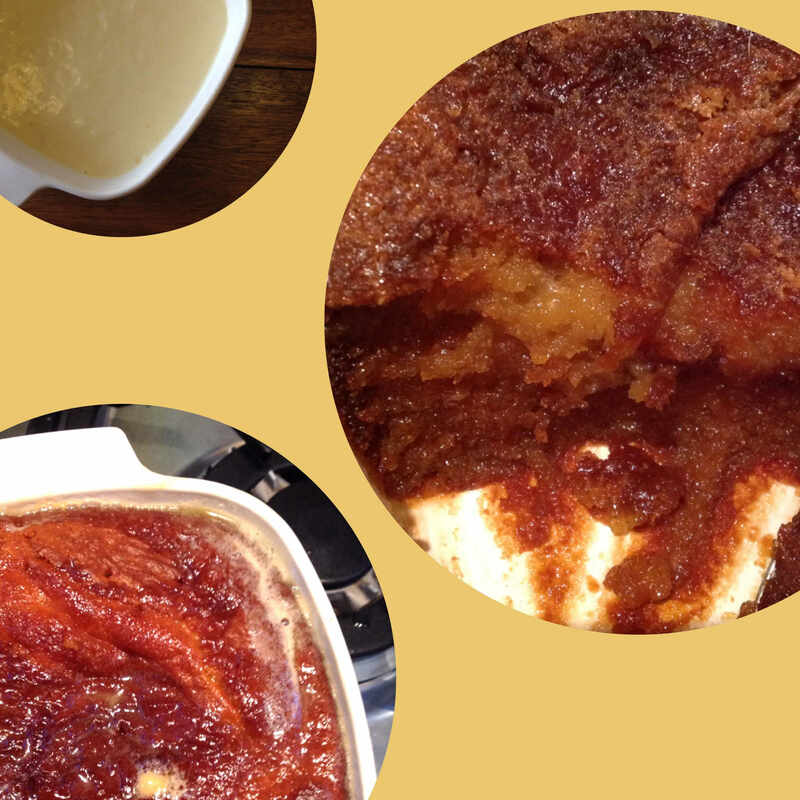 Malva pudding is a sweet pudding of Cape Dutch origin, usually served with hot custard and/or ice-cream. It is made with apricot jam, and has a spongy caramelised texture and taste profile. And is a heavy, sweet, rich dessert. There is nothing quite like it. It’s amazingly yummy. And I just crave it. So I thought I would provide the REAL authentic malva pudding recipe, as well as the low-carb version, which is not the real thing, but you would be content, if you are following LCHF diligently! Credit for the REAL recipe goes to my mom! The low carb version credit for the recipe goes to Ine Reynierse www.lowcarbislekker.wordpress.com, however I have made some tweaks to the recipe. Mix the butter, sugar, egg, and apricot jam until well incorporated. Then add the bicarb, vinegar and flour. Gradually add the milk, until the mixture is well mixed. Place into a greased ovenproof dish. Bake at 170 degrees for approximately 40minutes or until fully baked. SAUCE: In a saucepan, melt the butter and sugar. Then add the cream and milk. Keep it now on a low heat, there will be sugar crystals that develop when you add the cream & milk, however these will melt. Once the pudding comes out of the oven, slowly add the sauce over the dish. Let is seep into the pudding. Leave it to soak & cool and then place in the fridge. When you are wanting to serve it, reheat it in the oven at 160 degrees for 30minutes. This dish also freezes very well. Simply defrost & reheat before serving. Serve with vanilla ice-cream OR hot custard. Mix the eggs, xylitol, jam and butter together. Add the dry ingredients as well as the vinegar. Slowly, add the milk until the mixture is well mixed. Bake at 180 degrees for 25-35minutes, or until baked. Sauce: add all the ingredients together in a saucepan and put on a low heat, until no xylitol crystals. Pour over the heated baked pudding and let it soak into the dish. Serve hot. Or when ready for serving simply reheat at 160 degrees for 10-15minutes, but watch it, to prevent burning! This dish will go darker far sooner than the REAL malva pudding. Serve with a cream, creme fraiche or mascarpone. This entry was posted in Dessert, lchf, LCHF recipes and tagged atkins dessert, banting dessert, lchf hot dessert, lchf hot pudding, lchf malva pudding, malva pudding, south african pudding by angelb38. Bookmark the permalink.